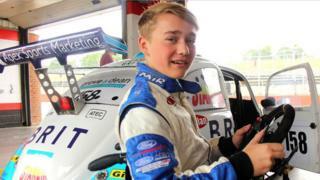 Teenage racing driver Billy Monger has returned to the racing track, almost three months after he was badly hurt in a crash. The eighteen-year-old lost his lower legs and spent nearly a month in hospital after the accident. It happened during a race at Donington Park, days before his birthday. Now the Formula 4 racer is back behind the wheel - trying out a car specially designed to make it easy for him to drive. The controls for the Fun Cup endurance racer are attached to the steering wheel instead of being the floor of the car, where they'd normally be. The new racing car came from a group called Team BRIT. 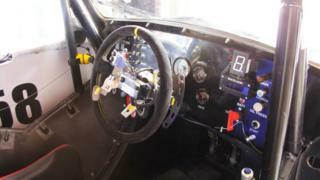 They help disabled people and people with injuries that would making driving difficult, to compete in motorsport. 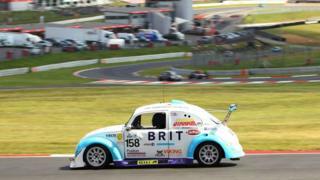 It's designed to look like a Volkswagen Beetle, and Billy's been giving it a test drive at Brands Hatch in Kent. Billy says it's been really good just to get back behind the wheel, but he still wants to perfect his technique and get used to driving the new car. So what are the young racer's plans for the future? While Billy still has some training and therapy to get through, he says that's all going well, and he's hoping to get back out on the track properly soon. 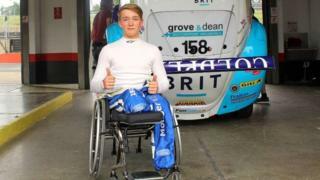 He says his ambition is now to compete in the Le Mans 24 Hours, along with Frenchman Frederic Sausset, who lost both his arms and legs through an illness. The teenager also wants to thank his fans, saying he's been overwhelmed by the help they've given him. He says: "People keep saying I'm the inspiration but I think all these people coming together to support someone who has gone through an accident like this, they're the true inspiration."